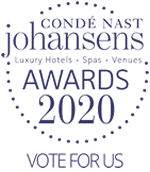 Share the ultimate vacation experience with friends & family in paradise at the 2019 Condé Nast Johansens award winning resort for Best Property for Weddings, Parties, and Special Occasions! Whether you are planning a couples retreat, corporate event, family reunion, or are a group of friends wanting to get away from the hustle and bustle for an intimate private island experience, look no further than Coco Plum Island Resort. Coco Plum is the perfect Caribbean destination to do it all or do nothing at all. And now, with our Belize all inclusive group vacations, we can help your group plan the perfect vacation. Bask in the sun, fun, and adventures of our little island paradise as you enjoy all the amenities—daily meals, unlimited local drinks, tours and breathtaking scenery and accommodations—all at a discounted rate. When you choose Coco Plum for your group vacation, we make getting here easy. Once you make your international flight arrangements and send us your itinerary, we will take care of arranging everything —your local flight to and from Belize City and Dangriga and the boat round trip to and from Dangriga and Coco Plum. Gather your group of 5 or more couples today and come take advantage of our unbeatable group discount on your very own private island! We make booking easy for your entire group. You can choose a group name to use as your code—this way our reservations office knows to apply your discount. Then choose any of our many all inclusive packages—there is no obligation for the entire group to select the same package. For those in your group who just want to sunbathe, swim, and relax with a cool drink in one of our comfortable lounge chairs, they can take advantage of our Just Chillin' Package. Our All Inclusive, Fishing, and Diving packages are all great choices for those who are seeking more adventure during their stay. And of course, our Honeymoon/Romance Package is perfect for those who are coming to rekindle their flame, with a little adventure on the side. Contact our Reservation team with any questions and to get a personalized group rate quote. We are here to make your group travel to Belize fun and easy. Book this entire private island and enjoy the exclusive use with just your group. Why limit yourself to booking hotel rooms for a group vacation, when your family & friends can rent this entire 16-acre private island? Ever dream of living on a beautiful private island for a week with just your family and friends? At Coco Plum this dream can become a reality when you choose the Private Island Rental Package. Coco Plum Island is approximately 16 acres in size. The crystal clear Caribbean Sea sparkles in shades of turquoise, sea blue, teal, and emerald green. Your group can enjoy the shallow waters surrounding the island which are perfect for snorkeling, kayaking, fly-fishing, and swimming. On tour days experience unique Belize adventures while alternately exploring the magnificent underwater marine life of the South Water Caye Marine Reserve and the exciting wildlife in the Belize jungle. 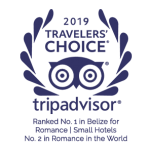 "I can't say enough good things about the staff and owners of this resort. We brought our grown sons and their wives to Coco Plum five years ago and they fell in love with it as well. In fact, we have made it a traditional family vacation every year since 2011."